Click a date on the calendar to show what's on that day. Click the event name for more information. 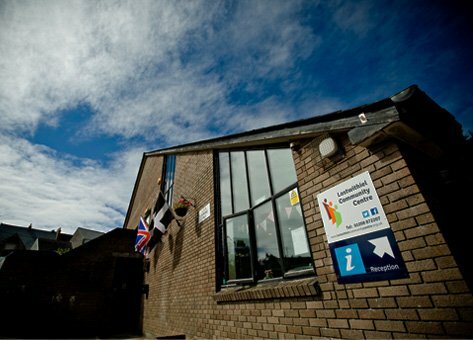 Lostwithiel Community Centre is a large venue with several spaces for hire within easy reach of South East and Mid Cornwall. We are a registered charity run by a small number of staff and volunteers and we offer facilities for local groups and clubs, courses, conferences, events and more. We would love to host your event in one of our various facilities: the Main Hall, the ancillary meeting and activity rooms, the Oasis Centre, or the café. Give us a call on 01208 872207 for information on how we can welcome your booking. If you are passing through Lostwithiel please drop in and pay us a visit. Cornwall's longest running antiques market and toy fairs, craft markets and boot sale running throughout the year. Community Cafe by Kernow Forno serving delicious homemade breakfasts, lunches, indulgent cake and proper coffee. Local produce and an ever-changing menu. Free range organic eggs for sale. Phone 01208 872207 to enquire into the space you need for an event or party you planning or use the contact form. © 2019 Lostwithiel Community Association, all rights reserved. Website kindly funded by the Rotary Club of Lostwithiel.